Slant board – Check. Tetherball – sure. 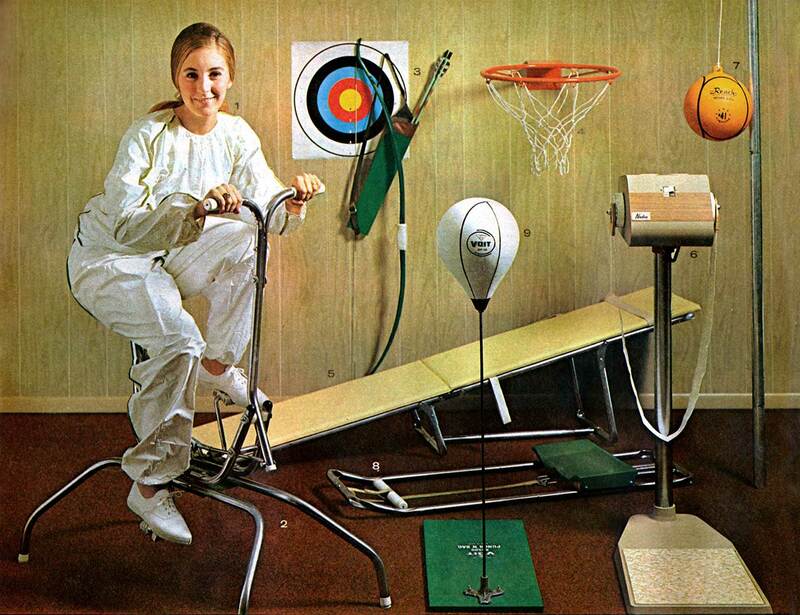 Archery and Basketball sets- not in the house, kids! Weird vibrating belt massager thingee – not so sure about that one. 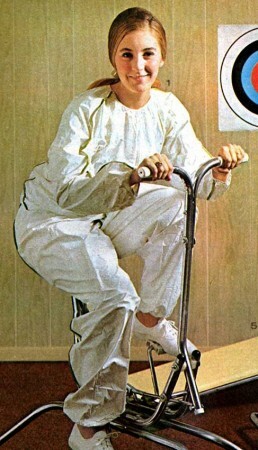 Primitive tubular steel stationary bike – forward-thinking. But then there’s that…sweatsuit. Literally. As in, a suit you sweat in. Described in the copy like this: the “‘Saunette’ vinyl suite seals in body heat. One size fits all.” Hmmm….I can just imagine. Wonder how that model was holding up under the hot studio lighting? Available for 2 1/4 books of MacDonald Plaid stamps, collected a few at a time, each time you bought groceries. Just remember, someday, Crossfit will seem equally dated.